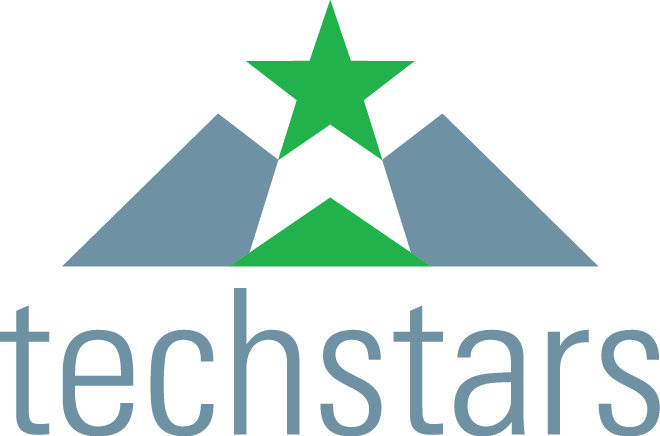 Today, Techstars NYC hosts their Demo Day for their Fall 2015 batch in New York City. The companies will be pitching their products to an audience of VCs, Angel Investors, and decision makers at large tech companies, in hopes of closing their next round of funding. “The companies in the 2015 fall class worked on a variety of innovations, including mobile search, automated shopping and help desk assistance, making it easier to buy health insurance, building intelligence platform for law enforcement and teaching girls how to code through programmable jewelry.” – NYC Business Journal. 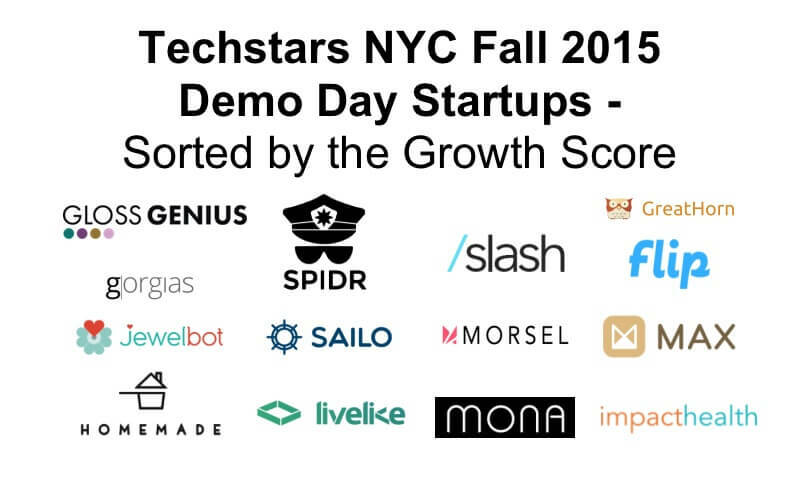 We ranked this batch of Techstars NYC companies by the Mattermark Growth Score. MAX is a three­-hour delivery platform for retail in Africa. Mattermark Growth Score: 759. Sailo is an online marketplace that connects people who want to rent boats to boat owners, charter operators and licensed captains. Mattermark Growth Score: 505. Slash is a mobile search engine built inside the keyboard. Mattermark Growth Score: 438. Flip simplifies the experience of renting housing by turning leases into liquid assets that people can buy and sell from one another. Mattermark Growth Score: 358. Homemade is a marketplace for homemade food. Mattermark Growth Score: 214. Impact Health helps consumers select and buy optimal health insurance. Mattermark Growth Score: 146. Morsel makes wellness accessible through healthy and delicious lunches for companies. Mattermark Growth Score: 138. Gorgias is an automated helpdesk enabling companies to respond faster to customers. Mattermark Growth Score: 128. LiveLike is a virtual reality live-sports viewing platform that transports fans into stadiums with friends from anywhere in the world. Mattermark Growth Score: 126. GreatHorn is a cloud security platform that helps detect and prevent spear phishing and credential theft attacks in realtime. Mattermark Growth Score: 105. SPIDR is a platform that transforms law enforcement agencies into data­-driven police organizations through data intelligence and analytics. Mattermark Growth Score: 99. Jewelbots are programmable friendship bracelets designed to inspire future engineers. Mattermark Growth Score: 42. Mona is an artificial intelligence based personal shopping assistant that learns customer preferences and simplifies the mobile shopping experience. Mattermark Growth Score: -32. GlossGenius is a smart, automated personal assistant software product that helps beauty professionals manage and grow their businesses. Mattermark Growth Score: n/a. Want to access more data about these companies? Have an account? Login to see this portfolio.